Flynn and Associates are delighted to bring 20 Ennafort Park to the market. A most attractive looking property with red brick & dash front facade, this spacious property is complemented by many features - Elegant bay windows to front, 5 bedrooms (3 doubles and 2 singles) and the option to convert the garage subject to planning permission being obtained. This sought after address coupled with the convenience of this house are features which are sure to appeal to families seeking to buy a quality home in this area. The large south facing rear garden further complements this magnificent property. The convenience of this house cannot be overstated. A mere 10 minute stroll to Raheny Village with a wide choice of shops, supermarkets, bakery, hair salons, gym, coffee shops and restaurants. 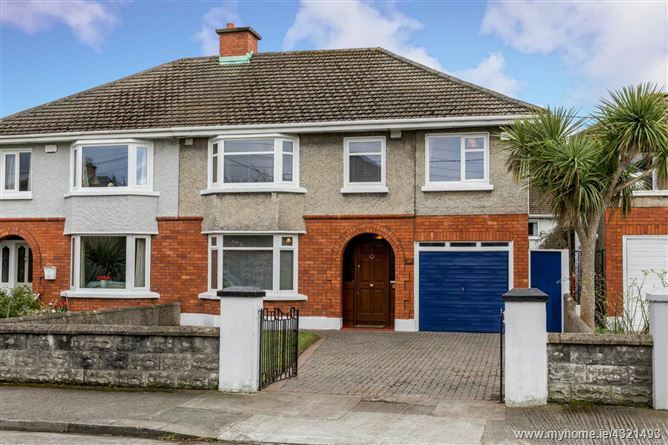 There are a choice of schools primary/secondary, child care facilities in the vicinity with numerous bus links on the Howth Road and less than a 3 minute walk to the DART station. Other nearby amenities include St. Annes Park, Dollymount Beach, Coastal Promenade/Cycle Track, variety of sports clubs GAA, Golf, Rugby to name but a view. Viewing Strongly Recommended. Feature bay window. Marble fireplace with timber surround. Shaker style fitted press units. Tiled behind worktop. Plumbed for dishwasher. Recessed lighting. PVC door to rear. Built-in wardrobes & vanity unit.